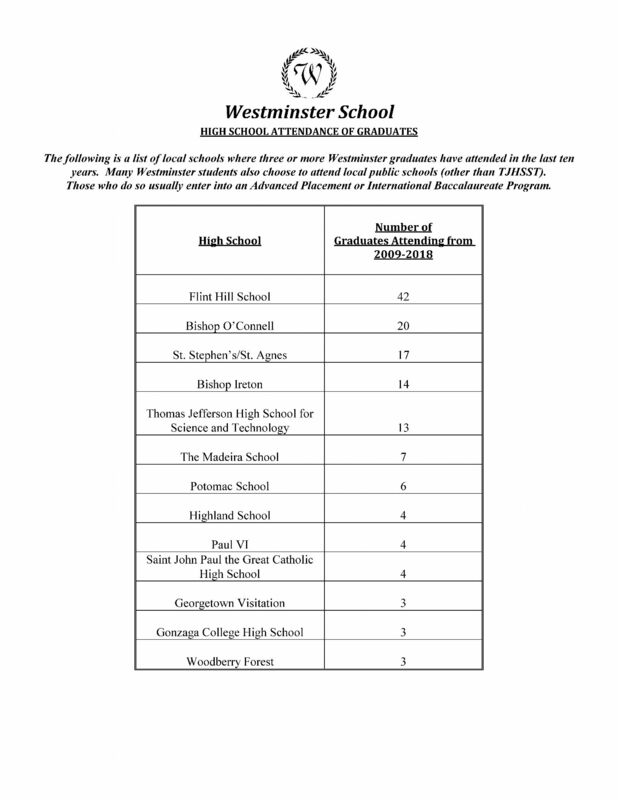 The following is a list of local schools where three or more Westminster graduates have attended in the last ten years. Many Westminster students also choose to attend local public schools (other than TJHSST). Those who do so usually enter into an Advanced Placement or International Baccalaureate Program. Westminster School is a Preschool-Grade 8 school. All of our graduates continue their education at either area private schools or in AP or IB programs in area public schools. After high school, on average, 93% of graduates report to Westminster their college destinations. The list below represents those reported since 2006.